Companies of all sizes, and across all industries around the world work with Stage-Gate International to improve their new product innovation and development success. 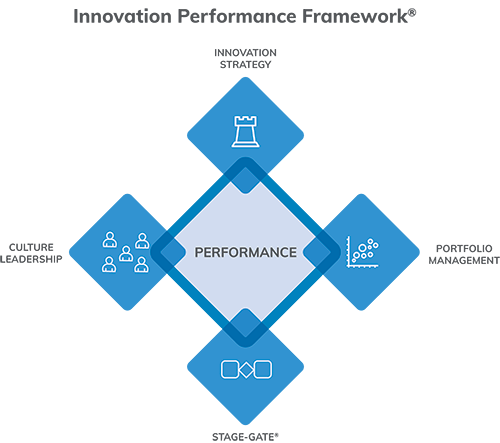 We specialize in delivering services that help companies build their innovation capabilities by mastering the performance drivers that comprise the Innovation Performance Framework™. Whether your focus is on one driver or the entire framework, we can help you achieve your goals. Create a winning innovation strategy that supports business goals and investment decisions. Optimize and allocate resources to maximize the value of your new product portfolio. Develop and advance the innovation capabilities of your organization to sustain results. Design or improve your company’s new product development processes to realize success.